At Sunset features brothers Harrison and Andrew Kantarias and their good mate Tom Jay Williams. Originating in Adelaide Australia, the trio came together with two things in common: their love of music and their enthusiasm for the fun things in life. The name says it all: “The name is a metaphor for our feelings towards music. We like to be upbeat, positive, and really just enjoying life. Playing music, sunsets, beaches, pools, girls in bikinis...it doesn’t get better than that, does it?” Harrison reflects. In the two years since making an online presence, the band have amassed well over 5 million views on YouTube; 300,000 combined Twitter followers; one million Facebook likes and an ever increasing army of fans globally. In 2014, At Sunset finished a promotional tour of the USA, performing to a sell out crowd at the CINCO 2 festival in Los Angeles and the Mall of America. 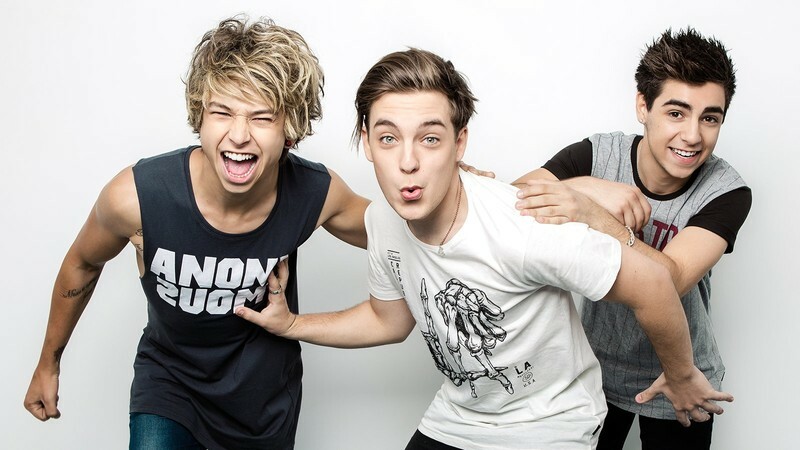 With all this in the works, At Sunset certainly aren’t resting - having recently been announced Nova FM’s Fresh Discovery which included a deal with Warner Music Australia and a mentoring session with Ed Sheeran. Later in 2015, At Sunset were announced as the first ever Australia and New Zealand MTV Brand New winner, following incredible support by their fans in the social media competition.